It’s almost Mother’s Day, which means many consumers and brands will be honoring moms in unique ways. 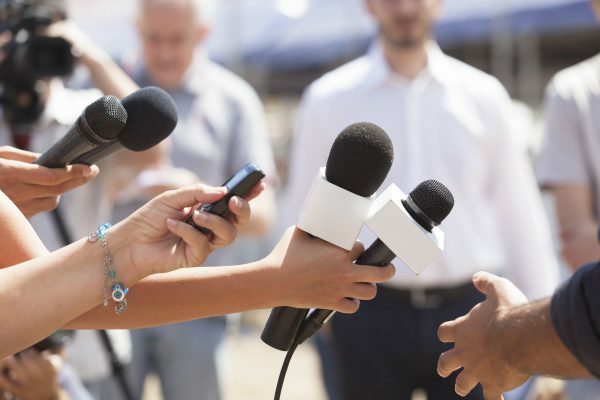 As PR and social media practitioners, we tend to leverage influencers quite a bit to help us tell a story. 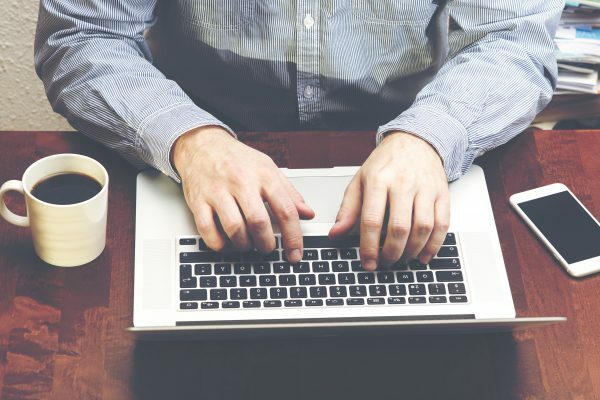 They are relatable and typically have large captive audiences online — and more importantly, they offer a direct connection to the brand. 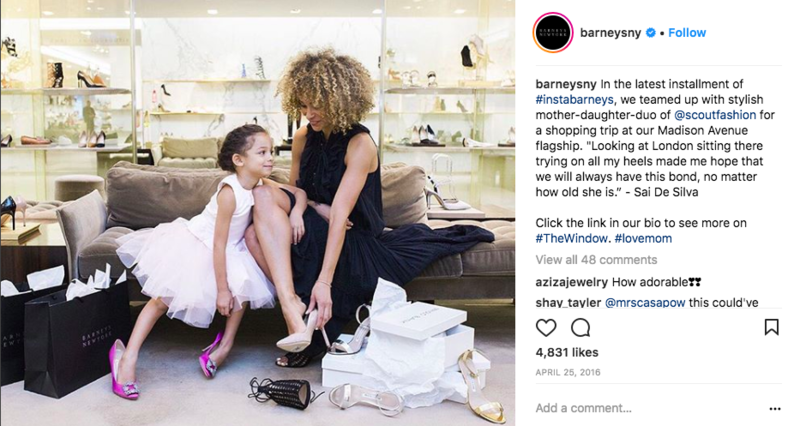 In a recent Mother’s Day campaign, Barneys followed Scout the City, a fashionable mother/daughter duo, around as daughter London Scout looked for the perfect gift in their Madison Avenue store. They leveraged the hashtags #lovemom and #instabarneys to get followers to join in on the fun. Leveraging this particular influencer felt very natural to the campaign because their blog is all about the young daughter’s style. This was a great way to give the little fashionista a voice to celebrate her mother and encourage others to do so. Many brands have leveraged social media to give their mom a chance to win an experience, not just products. Last year, California Pizza Kitchen asked guests to share wishes for their moms on social media using the hashtag #CPKDearMom for a chance to receive the granted wish, up to a $4,000 value. Your brand can adopt similar strategies to celebrate moms. For example, if you are managing a restaurant, you could offer to give away a private tasting with the head chef, or a free night out on the town with dinner included. There’s nothing like letting mom know she’s number one by giving her a shout out on social media. 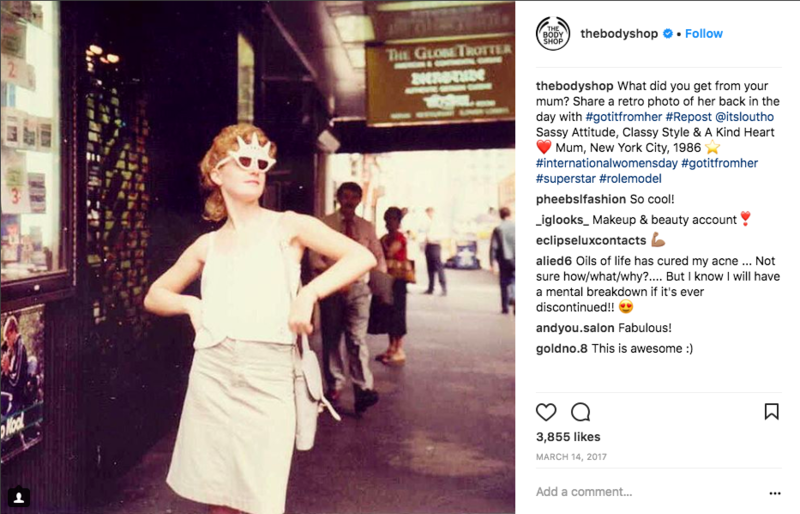 There are many brands that have done this particularly well, but a standout example is The Body Shop with their #GotItFromHer campaign. The brand asked followers to share old photos honoring the women in their lives that passed on their fierce spirits and quirks to them. Several brands have leveraged Mother’s Day as a way to give back to mothers in need. Asking your audiences to use a hashtag with a promise to donate a specific amount per tweet, post, photo, etc. in honor of your mom is a great way to give a meaningful gift that gives back to the community, too. Most people expect brands to be sentimental for Mother’s Day. However, some brands chose to go for something humorous to reach a new type of parent – pet parents. 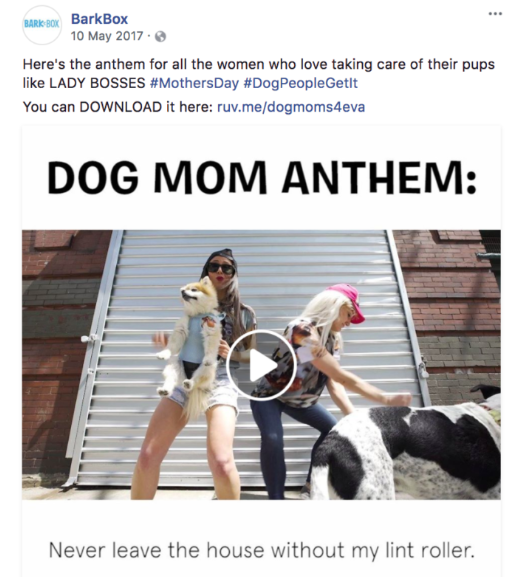 Bark Box honored dog moms with the “Dog Mom Anthem.” Not only did the video go viral, it reached a whole new type of mom on Mother’s Day. However you decide to help your social audiences celebrate their moms this Mother’s Day, be sure to be true to your brand. No matter how clever your campaign may be, if it’s off-brand it will feel disingenuous. 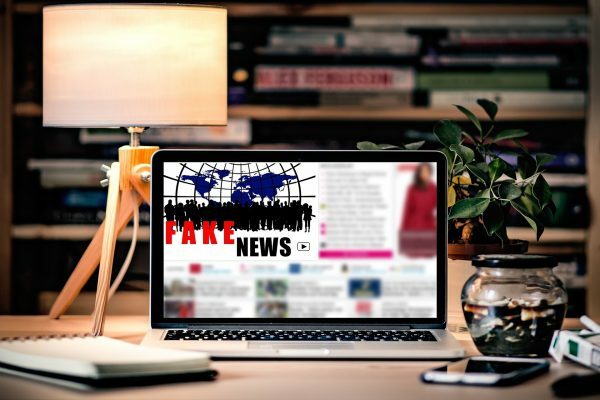 Striking the right balance between brand awareness and celebrating moms is sure to make your social media campaign a success with your entire audience this holiday.